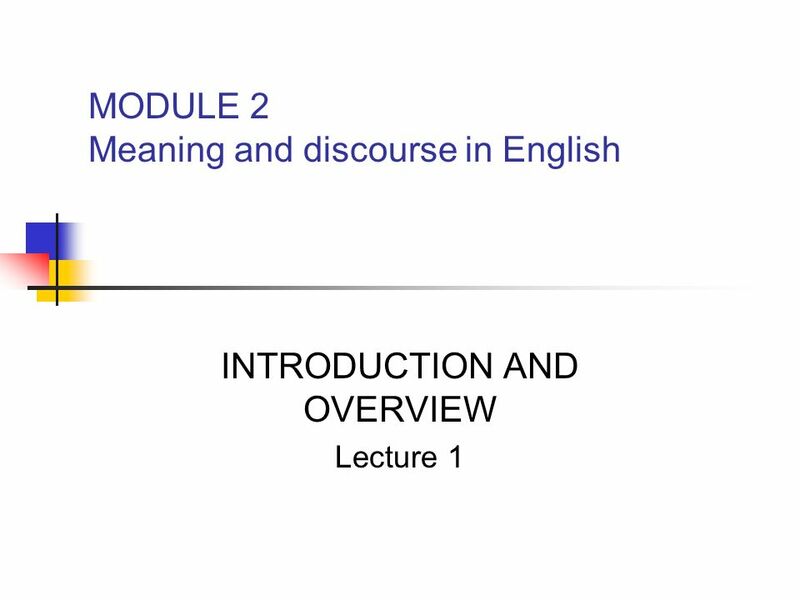 MODULE 2 Meaning and discourse in English INTRODUCTION AND OVERVIEW Lecture 1. 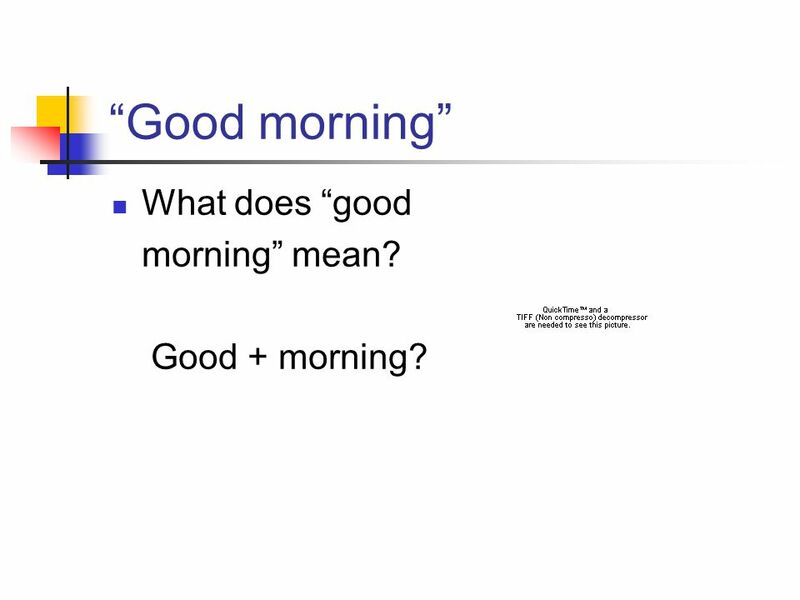 6 “Good morning” What does “good morning” mean? Good + morning? 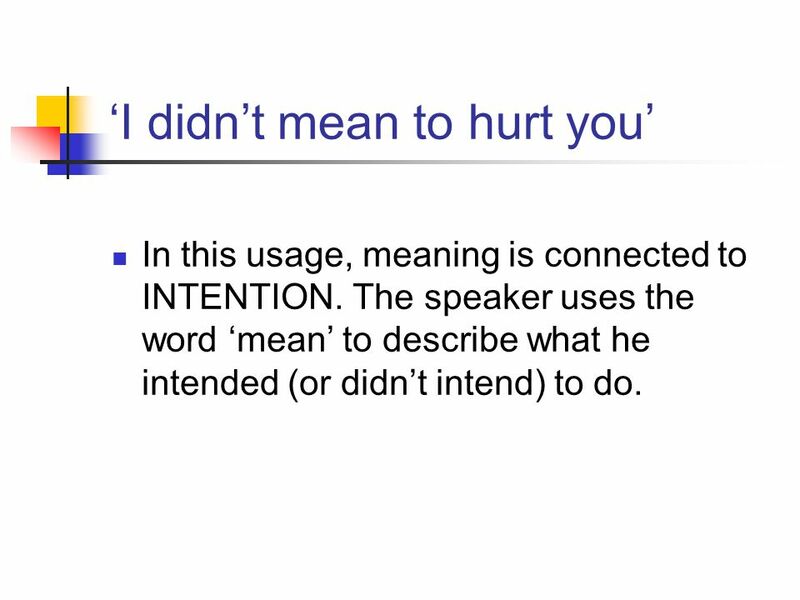 7 ‘I didn’t mean to hurt you’ In this usage, meaning is connected to INTENTION. The speaker uses the word ‘mean’ to describe what he intended (or didn’t intend) to do. 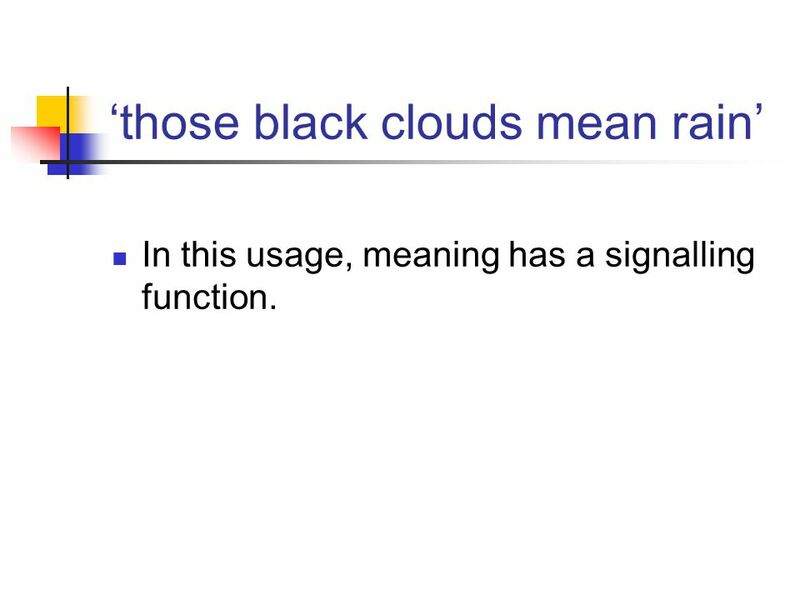 8 ‘those black clouds mean rain’ In this usage, meaning has a signalling function. 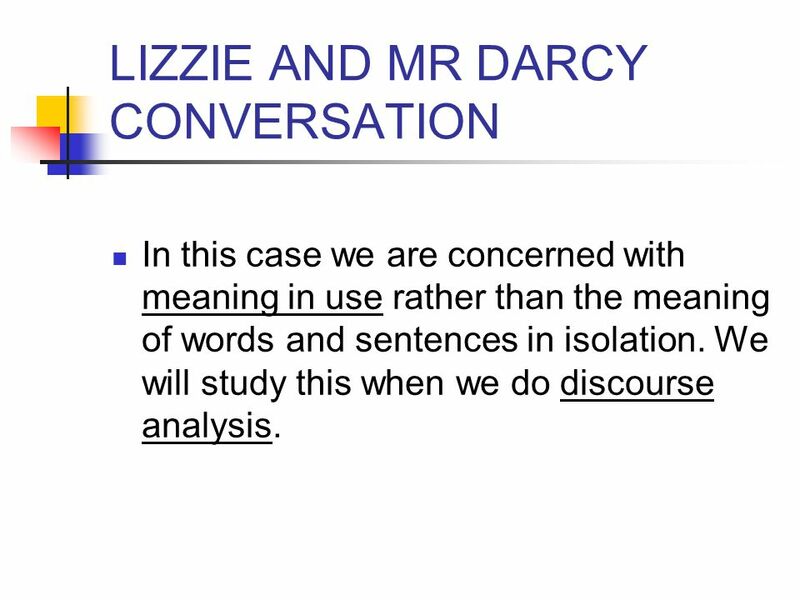 10 LIZZIE AND MR DARCY CONVERSATION In this case we are concerned with meaning in use rather than the meaning of words and sentences in isolation. We will study this when we do discourse analysis. 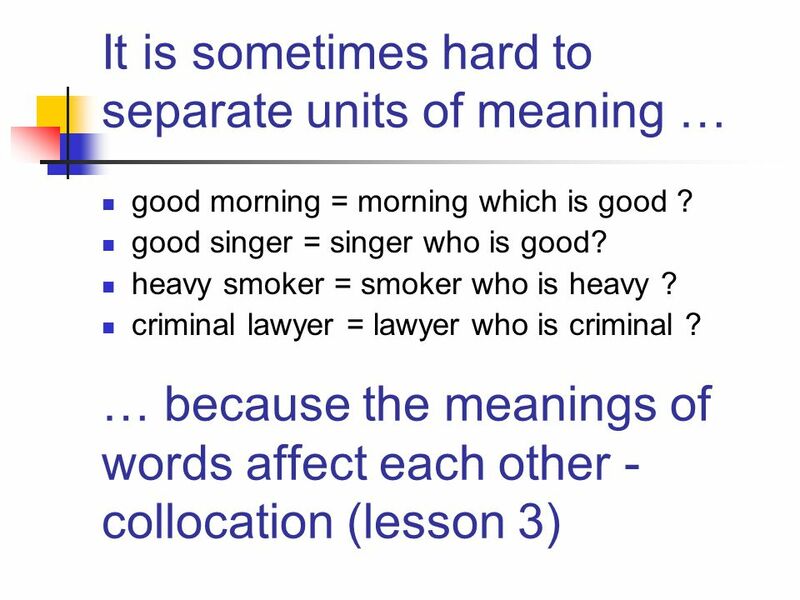 12 It is sometimes hard to separate units of meaning … … because the meanings of words affect each other - collocation (lesson 3) good morning = morning which is good ? good singer = singer who is good? heavy smoker = smoker who is heavy ? criminal lawyer = lawyer who is criminal ? 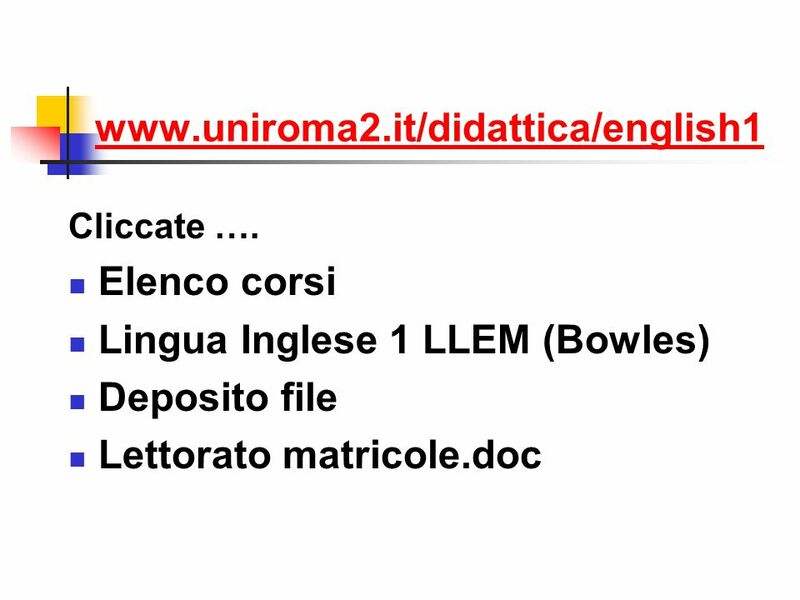 Download ppt "MODULE 2 Meaning and discourse in English INTRODUCTION AND OVERVIEW Lecture 1." 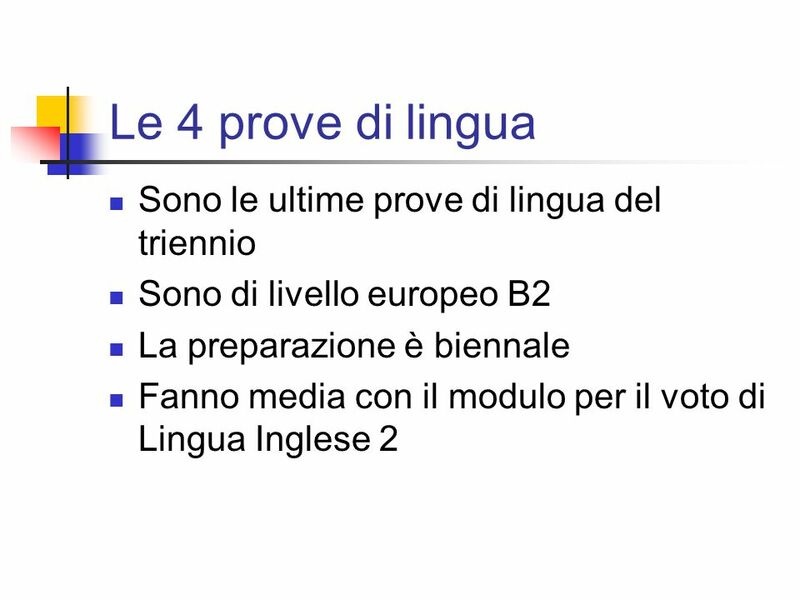 CORSO DI LAUREA IN SCIENZE DELLAMMINISTRAZIONE LANGUAGE AND SOCIETY Prof.ssa Eleonora Consoli LINGUA INGLESE a.a.2005/2006 Le slides seguenti sono schede. 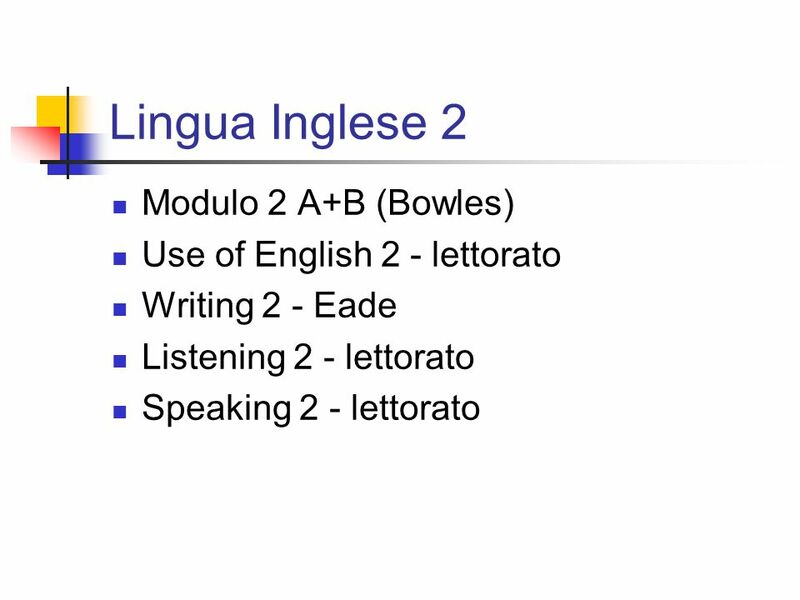 Progressing with(out) grammar Ab initio students on the Italian degree programme at the University of Reading Teaching languages ab initio SOAS London. Chapter Two The Scope of Semantics. Writing A Response To Literature By Kristin Hernandez. Modality Lecture 10. Language is not merely used for conveying factual information A speaker may wish to indicate a degree of certainty to try to influence. 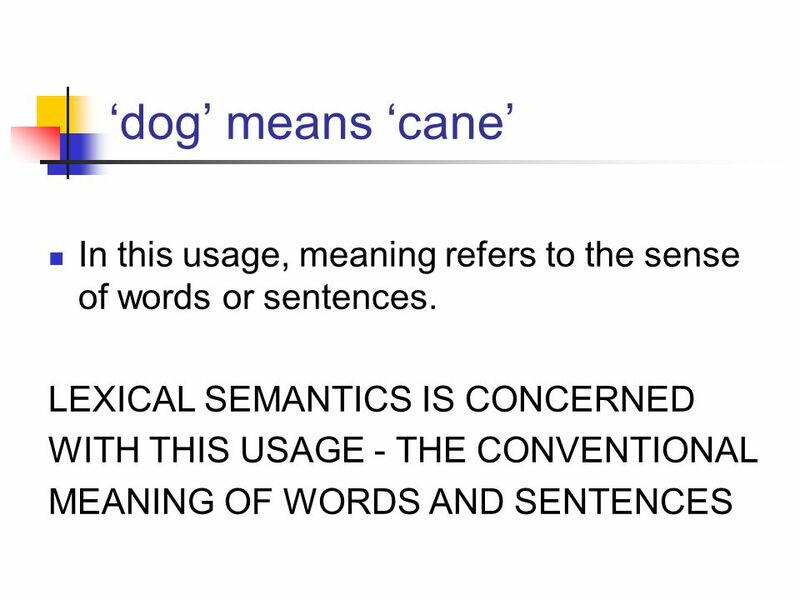 Semantics Semantics is the branch of linguistics that deals with the study of meaning, changes in meaning, and the principles that govern the relationship. 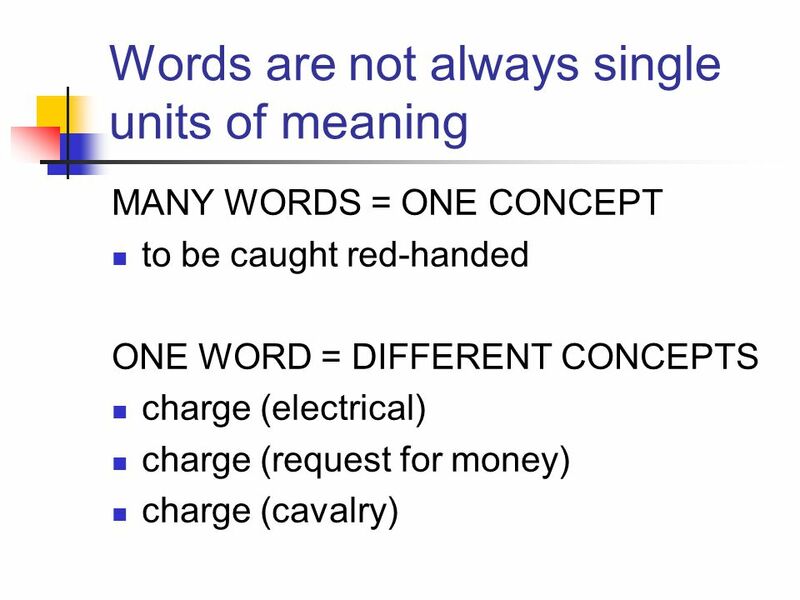 Albert Gatt LIN1180/LIN5082 Semantics Lecture 2. 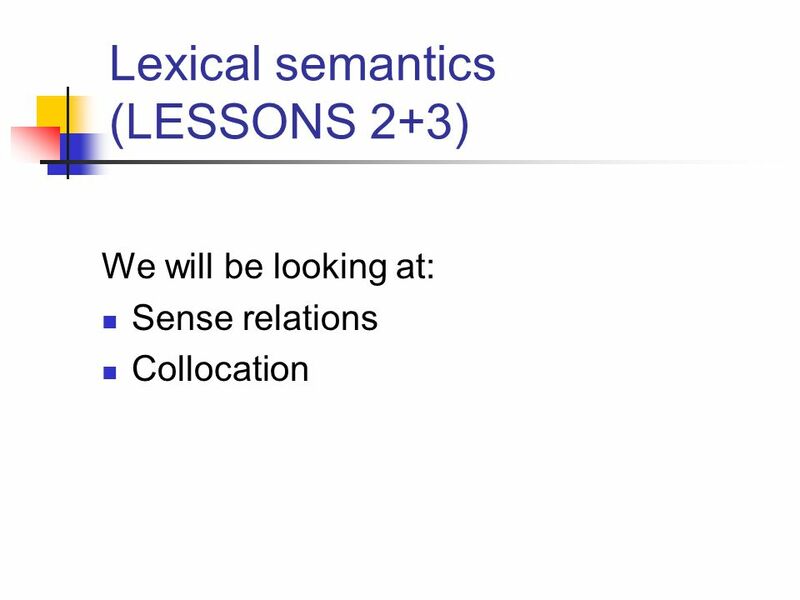 Goals of this lecture Semantics -- LIN 1180 To introduce some of the central concepts that semanticists. Statistical Methods and Linguistics - Steven Abney Thur. POSTECH Computer Science NLP Lab Shim Jun-Hyuk. 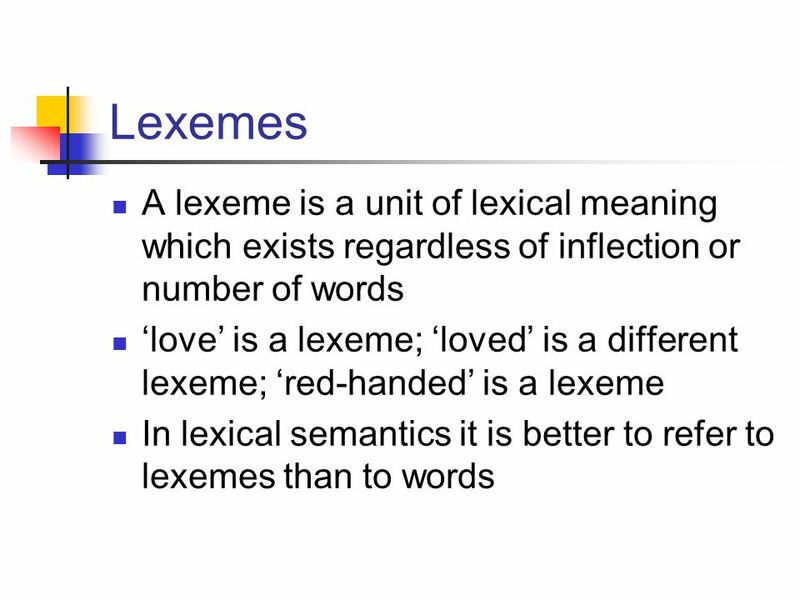 Albert Gatt LIN1180 – Semantics Lecture 10. Part 1 (from last week) Theories of presupposition: the semantics- pragmatics interface. English language usage standards used to tell us to use "man," "he," etc., when speaking about any unspecified individual. This standard has changed for. Term 2 Week 3 Semantics. 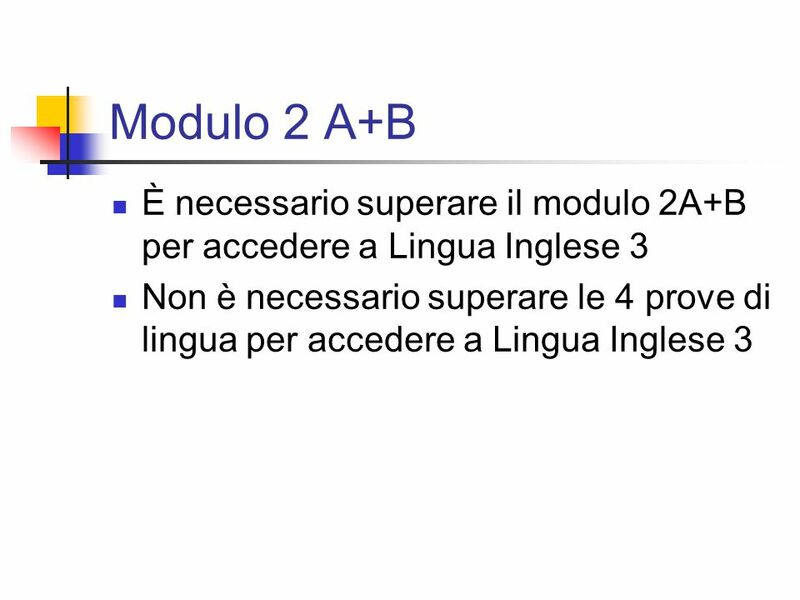 1 Analysing and teaching meaning SSIS Lazio - Lesson 1 prof. Hugo Bowles January 2007.